One page TTR Teaching Tactic: student preparation of reading material to increase comprehension and engagement with each other and the topic. "Making List of What You Know About . . . "
One page TTR Teaching Tactic to determine the level of knowledge and understanding students have of a particular subject (in this case, in a Hebrew Bible course). Schalkwyk, Gertina J.; and D'Amato, Rik Carol, eds. - an understanding of the unique learning motivations of contemporary Asian students. Brown, Sally, author; and Race, Phil, ed. ch. 5 Groups behaving badly? "Netnography and the Study of Religion"
One page TTR Teaching Tactic: students work in groups to study on line presence of African-American religious groups. One page TTR Teaching Tactic: students work collaboratively to define religion. Ask yourself key questions about the proposed group activity, be certain that the activity furthers course objects, allow for team building, encourage students to monitor group processing, promote individual accountability, etc. "Managing--and Motivating!--Distance Learning Group Activities"
Using the tool on this site, students can create group projects that interface music, blogs, documents, photos, video and more. ch. 3. Group Goals, Social Interdependence, and Trust..
ch. 4. Communication Within Groups..
ch. 8. Controversy and Creativity. ch. 9. Managing Conflict of Interests..
ch. 11. Cooperative Learning in the Classroom..
ch. 12. Leading Growth and Counseling Groups..
ch. 13. Team Development, Team Training.. Ideal for group projects. Members can bookmark and tab webpages and highlight important passages for each other. 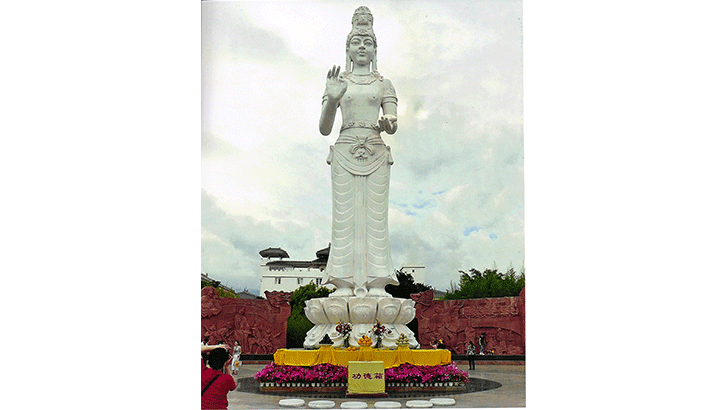 "Bursts of Imagination: A Teaching Strategy for Interfaith Ritual Planning"
TTR Teaching Tactic: a group process to design an interfaith ritual in which every religion is respected and no religion is privileged. "When the Cat's Away, the Mice Keep Learning"
"We Learned So Much When You Weren't There! ": Reflections on the Interteach Method and the Acephalous Classroom"
Krause, Steven D.; and Lowe, Charles, eds. 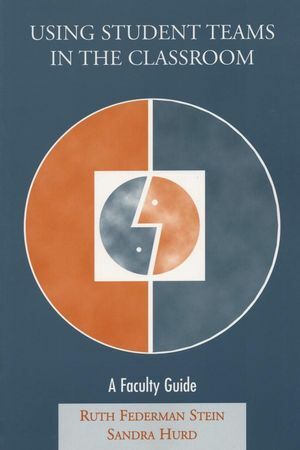 This pdf is an entire 200 page book published by Parlor Press, Anderson, South Carolina 2014). It contains twenty-three chapters, by different authors, exploring the benefits and disadvantages of the recent educational phenomenon known as Massive Open Online Courses (acronym, MOOC). Google+ Hangouts is a great video-conferencing tool that can help faculty hold office hours, bring in guest speakers, and collaborate with ease on a variety of projects with TA’s and other faculty. There are many options available to professors who want to streamline the process of setting up and having appointments with students. Hopefully, with these resources at your disposal, you’ll be able to reach more students more easily. 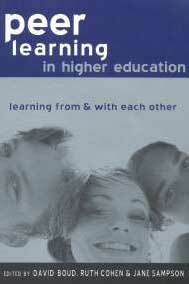 Discusses cooperative learning in colleges. Definition of cooperative learning; Theoretical roots of cooperative learning; Difference among theories of cooperative learning; Information on the internal dynamics that make up cooperative learning; Ways to use cooperative learning. "Imaginary Decision Making: A Key Tactic in Helping Students to Relate to Christian History"
One page TTR Teaching Tactic: students work collaboratively and in role play, to understand historical agents. "Convince the Professor – Classroom Debate with a Twist"
One page TTR Teaching Tactic: using debate to introduce a topic. "Narratives or Sources? Active Learning and the Teaching of Ancient Jewish History and Texts"
During my career, I have regularly taught a survey course on the history of Jews and Judaism in the Persian, Greek, and early Roman periods (ca. 520 BCE – 70 CE). Student performance in the course has long concerned and puzzled me. By the end of the course students demonstrated familiarity with the narratives and concepts we covered, but most did not really “think historically.” They had great difficulties using and applying the historical tools they learned to new situations and evidence. In 2006 and again in 2010 I overhauled the course not only to improve it, but also to figure out how my students learned history. Using a wiki exercise, I traced how students learned and then applied these insights the next time I taught the course. In this essay I report on what I learned. An activity called Cash Cab (based on the TV series) to promote student engagement in class and encourage homework completion outside the classroom. "Teaching Students by Having Students Teach: Dealing with the 'Problem' Sections of a Course"
The author describes a positive turnaround that occurred in working with both the Prophets unit of her Hebrew Bible course and the Paul unit in her New Testament course. She initiated this turnaround by challenging the students to take over the teaching of those units through small group presentations. The emphasis on length and creativity in these presentations prompted some exemplary work on the part of students. And students now identify these units as both the most memorable of the course and where their most effective learning takes place. "Demystifying and Disentangling the Aims of Religious Education"
One page TTR Teaching Tactic: students work in groups to reflect on the learning goals of the course. Video. A lengthy You Tube video (1 hour), and dated 2008, but still relevant. Cultural anthropologist Michael Wesch discusses "media literacy" as a site of ongoing struggle and professional development for an instructor in higher education. If our students come to us unprepared for school, does that mean they are unprepared for learning? Is the problem with them, or with school? Have we taught learners the wrong things about learning? Miller, Judith, James E. Groccia and Marilyn S. Miller, eds. 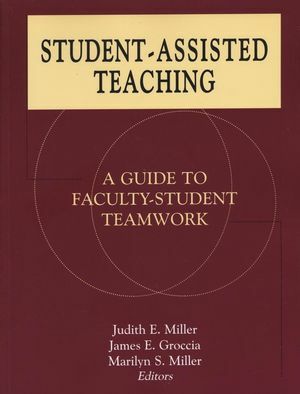 This innovative book provides a range of models for undergraduate student-assisted teaching partnerships to help faculty, faculty developers, and administrators make learning more student-centered, more effective, and more productive. 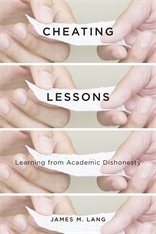 Each of the 31 models included in this volume is supported with practical details and focuses on four main aspects of a specific peer-assisted learning environment: 1) implementation, 2) evidence of effectiveness and learning benefits, 3) analysis of time and cost expenditures, and 4) suggestions for replication. Cooper, James L.,author; and Robinson, Pamela, ed. In this essay, I examine the following pedagogical question: how can we unlock students' mistaken notions that religious “traditions” are monoliths, and instead help them to recognize, puzzle over, and appreciate the complex multiplicity and vibrant set of doctrinal and ritual conversations that characterize religious traditions? More specifically, how can we teach students to recognize these differences with respect to a religion's notions of god? And how can we do so even when students are particularly stuck on, invested in, or trained to see homogeneity? In answer to these questions, I present an exercise that I have used in my World Religions courses. This exercise – which I call the “Council of Newton” (named for the building in which I first taught it) – is particularly effective because it helps students uncover and wrestle with this diversity at two levels: conceptually and historically. Video. Several extended video presentations, from the Merlot Elixer Initiative, examining student-created video projects in several academic disciplines. Such projects engage and challenge students with storyboarding, interviewing, collaborative problem-solving, recording, audio commentary, video-editing and documentary creation. One page TTR Teaching Tactic: dividing up students into separate "expert groups" helps them master difficult reading assignments. Students learn better and retain more when they are directly involved in their learning, not just sitting back and being lectured. Usually, they also prefer active learning. Discover ways to help students learn in a more hands-on environment. A thorough, multi-link, description by a teacher who "flipped" her community college art history classroom. Includes links to additional resources, videos with excerpts of many of the learning activities and overviews of student surveys. "Finding the Treasure of God's Attributes"
One page TTR Teaching Tactic: a treasure hunt by which students learn about the attributes of God. Boud, David, Ruth Cohen and Jane Sampson, eds. Peer learning, where students support each others learning, is for many one of the most effective and natural forms of learning. It can form one of the most essential and satisfying parts of a student's higher education experience. As a key developing technique in higher education this book will meet the needs of many who are interested in developing a more formal approach to peer learning in their own work. The book discusses practical methods of developing more effective learning through the systematic implementation of peer learning approaches. 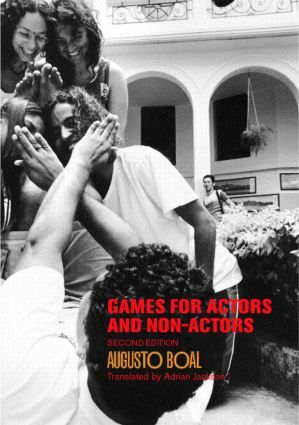 It draws on the direct experience of the authors in their own classes across a range of disciplines. While the emphasis is on higher education, many of the ideas can be applied more widely to further education and professional learning. What is peer learning and what is it good for? What are the design and class management issues that need addressing? How best can peer learning be introduced and fostered? What issues need to be considered by teachers and students? Assessments of student behavior in first- semester design experiences suggest that early team- based design projects can promote a team performance goal orientation that undermines students’ learning goals. In particular, we find that gender-correlated division of work can easily and unconsciously occur in these teams and that performance-oriented teams may be more likely to undermine womens’ learning goals then mens’ learning goals. We propose mechanisms to explain the effect and present results of promising interventions. "Theological Dialogue Partners (or Study Buddies for Graduate Students)"
One page TTR Teaching Tactic: students learn theology by working in pairs through the semester. • What happens when one student dominates the group? • What do we do about students who sit back and are passive or resistant? 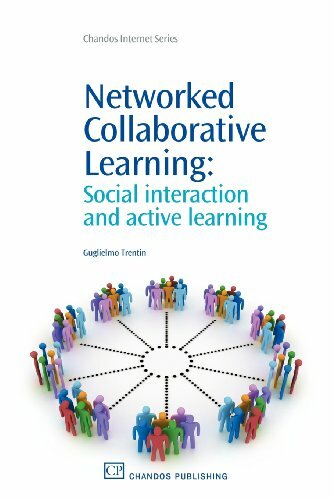 • How can tasks be designed to elicit full participation and engagement of every student in the group? 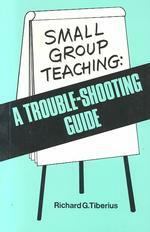 • How do we evaluate group work? ch. 1 "Teamwork Theory and Discussion"
ch. 2 "Technology and Teamwork"
ch. 3 "Exercise for Students: How Do I Learn Bet?" ch. 4 "Guidelines for Student Teams"
ch. 8 "Top-Notch Tips for Team Learning"
ch. 9 "Enhancing Performance in Small Groups"
ch. 10 "Spectators and Gladiators"
ch. 11 "Betty Miles's Worst Nightmare: A Cooperative Learning Dilemma." 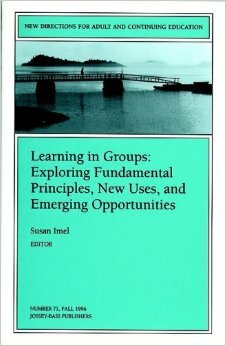 Helpful, brief overview of cooperative learning – what it is and why to do it. Kennedy, Frances with Nilson, Linda B. A guide for students to help them work more effectively in groups, developed by Clemson University’s Office of Teaching Effectiveness and innovation. A website developed by the University of Minnesota that a faculty member might send students to in order to improve students’ experience and learning in group projects. Bernstein, Jeffrey L., and Flinders, Brooke A., eds. - positively impact graduates, peers, campuses, and even communities at large. By intentionally creating collaborative structures for communal work to occur, educators can broaden access to opportunities for students, improve engagement experiences within the community, and improve faculty support and scholarship. 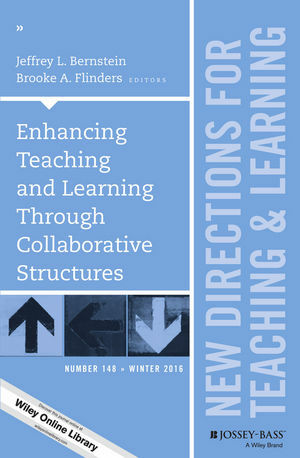 Exploring multiple perspectives on collaborative structures in teaching and learning, this volume discusses ways to consider the collaborative structures within education that allow for shared contributions to teaching and learning. 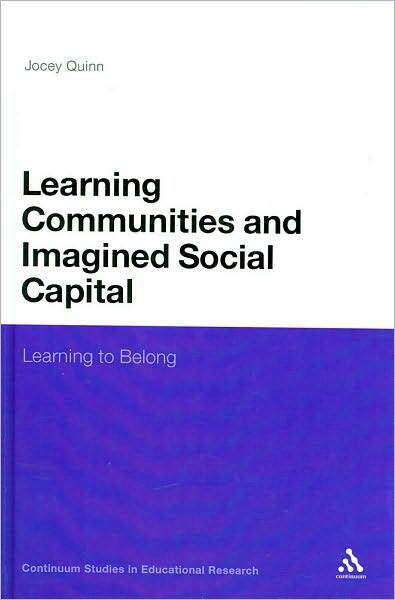 It discusses the need for practitioners to view teaching and learning as truly communal work, regardless of the type of setting. Embracing a shared vision of truly collaborative learning and teaching practice provides students and faculty alike with a richer understanding of the value and potential of working together. Refining roles and expectations allows students to build confidence through disequilibrium and discourse, if we are willing to embrace the risk inherent in these revised collaborative roles. The presence of peer mentors enabled a complex project to be implemented in a Campaigns and Elections class, and helped the professor develop a sustainable model that could be used in future iterations of the course. The high-impact educational practices, recommended by the Association of American Colleges and Universities, are embedded in an undergraduate service-learning program and leadership team design. Collaboration that extends beyond an individual course creates community, continuity, and leadership opportunities for students in a graduate program. An undergraduate experience working on a scholarship of teaching and learning project with a professor can have a positive impact on the career development of graduate students and future faculty. 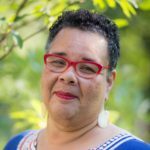 Leadership education at Western Washington University is examined through four different lenses, each revealing important lessons for how leaders are made or revealed, and the role they play in facilitating dialogue around teaching and learning. Faculty Learning Communities (FLCs) provide meaningful opportunities for engagement, collaboration, and development of the scholarship of teaching and learning. This chapter describes new positions of leadership that serve to implement and sustain FLCs. 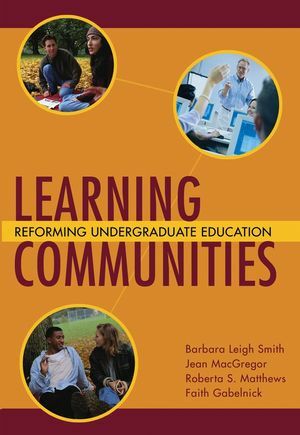 Taking stock of the lessons learned in this volume and considering next steps to facilitate future collaboration in the service of teaching and learning incite yet further conversation. "Designing Effective Group Activities: Lessons for Classroom Teaching and Faculty Development"
The primary objective of this article is to provide readers with guidance for designing effective group assignments and activities for classes and workshops. In doing so, we examine the forces that foster social loafing (uneven participation) in learning groups and identify four key variables that must be managed in order to create a group environment that is conducive for broad-based member participation and learning. We then discuss the impact of various types of activities and assignments on learning and group cohesiveness. Finally, we present a checklist that has been designed to evaluate the effectiveness group assignments in a wide variety of instructional settings and subject areas. Millis, Barbara J. and Philip G. Cottell, Jr.
Teamwork can be a pain! Any ideas for helping me survive team assignments? Ways to explain the importance of group work to students. 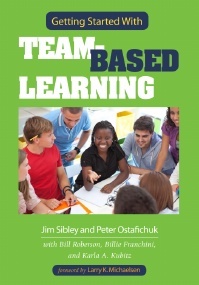 Introduction: why write a book about Team-Based Learning? ch. 1 Why do we work in terms so much? Forming and participating in study groups can increase both the breadth and the depth of your students' learning, create structure for more productive study time, and give students an opportunity for meaningful service. Tools to prepare students to function effectively in teams. And support for faculty as they manage their students’ team experiences. "Learning Through Shared Christian Praxis: Reflective Practice in the Classroom"
The cultivation of reflective practice has become a commonly accepted goal of theological education. However, theological educators must face the challenge of teaching and assessing reflective practice. Hypothesizing that this concern is best addressed in community, the authors of this article devised a collaborative action-research project using Thomas Groome's "shared Christian praxis" model. They describe the ways in which they have, over the course of the project, modified their pedagogy to improve their students' reflection on practice. Numerous teaching techniques for collaborative and cooperative learning (apparently aimed at K-12, but useful for higher education as well). How to use team-based learning strategies in class. Lots of links. 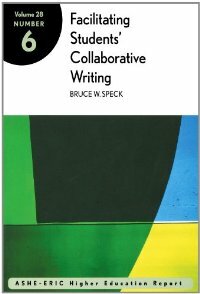 The companion web site for the book “Team Writing,” including video of students doing group projects to illustrate advice in the book. The emphasis is on a group writing project, but it’s insights about group dynamics and how to organize are widely applicable. Available for free, with registration. van Schalkwyk, Gertina J.; and D'Amato, Rich Carl, eds. 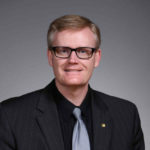 Abstract: Collaborative teaching and learning has been a focus of research recently, yet it can sometimes be a challenge for multicultural students in an educational setting. This second volume of a two-volume edition helps lecturers, educators, and teachers create collaborative teaching and learning experiences with multicultural adult learners in higher education. - characterizations of emotional intelligence and sociocognitive skills needed in collaborative learning environments. 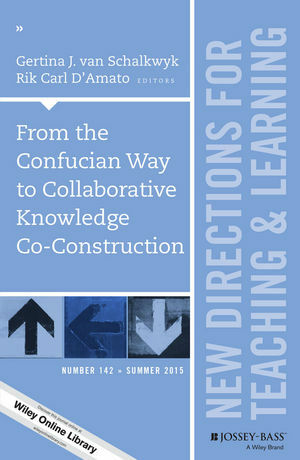 Though focused on Asian students and their experiences, this volume includes information for all students and educators who are engaged in the collaborative search for knowledge. This chapter explores the move toward a constructivist paradigm and collaborative knowledge construction in the broader institutional context of education. This chapter explores the ways in which a relational understanding of the educational process might inform and transform university teaching. This chapter advocates for a more contemporary ecological neuropsychology approach, where brain-learner-environmental interactions are the focus of study, assessment, and evidence-based intervention. This chapter explores emotional intelligence as the glue that binds people together regardless of cultural differences. This chapter examines the use of reading and writing activities to promote critical reflection among Asian students in higher education settings. 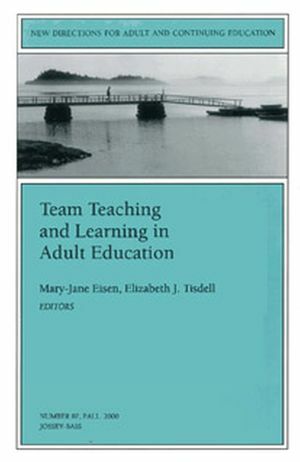 Eisen, Mary-Jane and Elizabeth J. Tisdell, eds. A brief 4 page essay providing theory and research, strategies, and “how-to” for designing collaborative learning experiences in small groups, in order to enhance students’ critical thinking, self esteem and the acceptance of others, and improve interpersonal effectiveness. IDEA Paper no. 38, from the series developed by the Center for Faculty Evaluation and Development, Kansas State University. "Emerging Models of Online Collaborative Learning: Can Distance Enhance Quality?" Argues that online collaboration among students does not need to follow the same forms as traditional interaction in face-to-face classrooms. 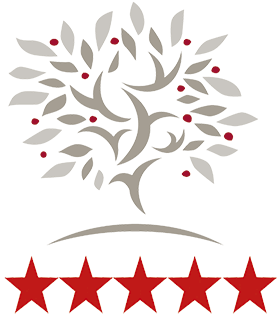 Reviews pioneering and imaginative ways of helping students learn with one another in virtual space – ways that multiply the advantages of extended access with the strengths of enriched learning environments. 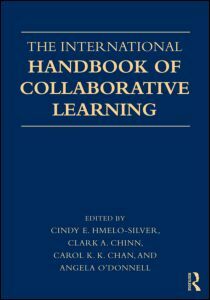 "Collaborative Learning: Notes from the Field"
Collaborative Learning: Higher Education, Interdependence, and the Authority of Knowledge, 2d ed. Hmelo-Silver, Cindy; Chinn, Clark; Chan, Carol; and O’Donnell, Angela, eds. Collaborative learning can be beneficial for your students. However, it isn't always as easy as it sounds. This tip provides some simple advice for making collaborative learning work in your class. "Experiencing Shared Inquiry Through the Process of Collaborative Learning"
This article is based on an analysis of a qualitative research case study involving three British adult educational-theological sites which were experimenting with collaborative learning. The focus of this practice-based research was listening to and observing adults engaged in collaborative learning in order to elucidate what they perceived to be some integral values inherent in this learning approach. 'Experiencing Shared Inquiry' emerged as one of the hallmarks of collaborative learning. The dynamic engagement of hearts and minds in collaborative learning harnesses the collective wisdom of God's people. Two movements are enfolded within 'Experiencing Shared Inquiry': stimulating thinking through dialogue process and drawing upon the resources of the learning community. "Collaborative Learning: Reframing the Classroom"
There have always been social dimensions to the learning process, but only in recent decades have specially designed collaborative learning experiences been regarded as an innovative alternative to the lecture-centered and teacher-as-single-authority approaches typical to most college classrooms. With increasing frequency, students are working with each other, and alongside their teachers, to grasp subject matter or deepen their understanding of it. In the process, they are developing their social skills as well as their intellectual ones. Students and their teachers are involved in a common enterprise, that of mutual seeking of understanding. Because many minds are grappling with the material at once while working toward a common goal, collaborative learning unleashes a unique intellectual and social synergy. Collaborative learning is a powerful tool for helping students understand and retain information. Discussed in this post are many effective ways that BYU faculty members are using collaborative learning strategies.